One of the most obvious forms of prestige is that of armor. Even in Homer from where I am drawing inspiration for this series, armor is an important visual component linked to an individual. For example, nearly an entire book of the Iliad is dedicated to describing the shield that Hephaestus makes for Achilles. 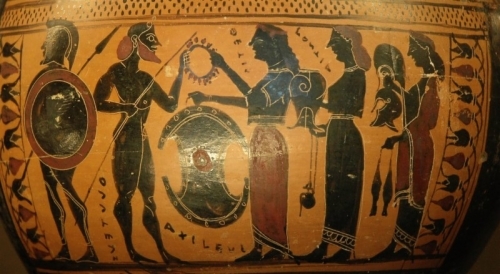 In beautiful poetry, a piece of armor is brought to life as a visual object, unique and solely appropriate for Achilles. In MMO’s, armor is typically less unique as game systems simply do not allow for such individual extravagance, but it is nonetheless an important visual element of a player’s prestige. Today, I want to talk about how visual prestige via armor plays a role in World of Warcraft especially, but in MMO’s as games of community more broadly and how this representation of prestige has evolved over time to allow room for individualization and alternative aesthetics. In an MMO and most role-playing games more generally, gear is directly tied to improving your character’s performance in the game and is an incentive for much of a game’s activities. Gear in the form of armor and weaponry not only improves the statistics of a character, but results in a change in the avatar’s appearance in the game world. In both RIFT and World of Warcraft for example, a character starts out wearing very plain items that could be worn by any peasant. Some even appear ragged. Throughout a character’s journey, however, they acquire better items that also improve their appearance and eventually result in a character who looks powerful and heroic. All gear is not created equally, however. A game’s combat encounters that often result in new armor are at varying levels of difficulty and thus require varying levels of organization and skill. A character who is able to kill the hardest boss at the highest difficulty level will acquire armor that may be of the same pattern as a character who killed him on an easier difficulty level, but it will be of a different color. Achievement in the game, thus, is displayed visually through armor. For a very long time, avatars in World of Warcraft were limited in their clothing choices to the gear they happened to be wearing at that moment. It was patently obvious how far an avatar had progressed in the game by the armor they were wearing. Recently, however, the game implemented a wardrobe system which allows players to choose an outfit to wear that is separate from their armor used in battle. This means that while a player may be wearing the best gear available in the game, they appear to other characters in their Easter dress. Alternatively, a character who is actually wearing very simple armor from easily obtained sources may be wearing an old set of raid gear that makes their avatar appear powerful to an unsuspecting passerby. 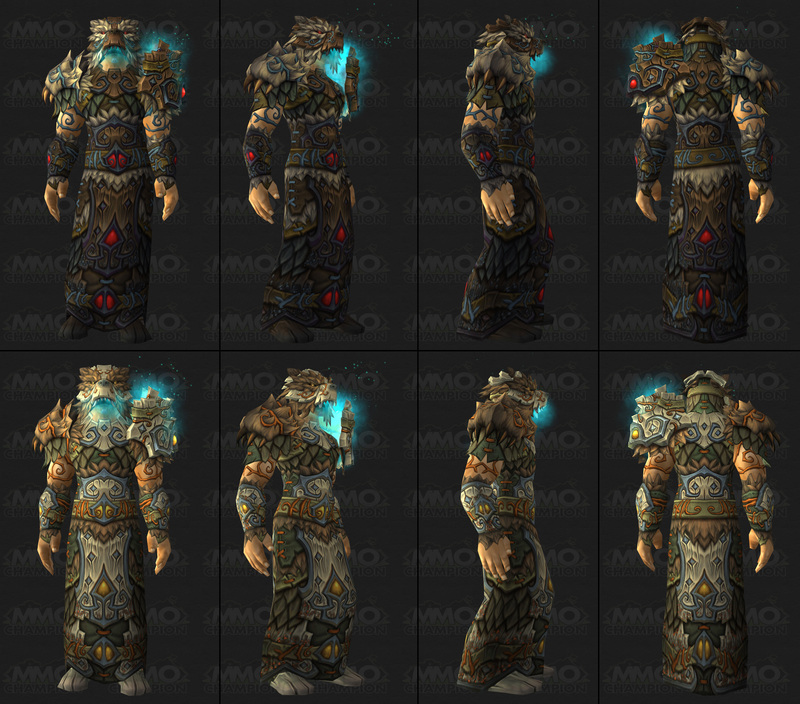 At first glance, this wardrobe system (or “transmogrification” as it is termed in the game) would seem to overwrite the visual system of prestige as related to armor. Transmogrification would allow Achilles to run around the battlefield in his Speedo while somehow maintaining the benefits of divine armor. Perhaps, this wardrobe system would allow for some visual equality, you may think. Now, instead of players being visually split between those who have conquered difficult encounters and those who have not, now everyone can simply choose how they appear and live happily as equals in a developed society. However, Blizzard apparently realized the importance of visual prestige in a cultural system built on individual worth in the context of the community. That is, a player’s value in the game is determined not by individual deeds inherently but by the value those deeds hold in the eyes of the rest of the community. While there is much sentimental value in individual experiences in the game, it is through the recognition of the rest of the playerbase that a player’s worth is decided regardless of what he thinks of himself. This is of course problematic for those individuals raised in a society that values individualism and self-worth, as is often apparent when some players react against this system of prestige through complaints that performance is valued too heavily or that metrics play too large a role in the game. However, the fact remains that despite an individual’s notion of self-worth, the majority opinion of the community is more powerful in a culture like this and exacts heavy demands on the priorities of players and developers as well. While Blizzard has typically supplemented visual prestige with mounts and titles so that gear alone is not the only signifier of success, they also implemented a system that capitalizes on transmogrification to confirm the function of an avatar’s attire as symbols of prestige. They released a system called Challenges in the latest expansion that invites players to participate in timed dungeon runs while operating with equalized sets of stats. This means that regardless of the difference between two players’ armor outside of the challenge, within it they are competing only in skill. * The rewards for these challenges come in a tiered system of gold, silver, and bronze. The highest rewards are a set of cosmetic armor without any stat benefits. This means that players who complete the highest challenge are given a visual signifier of their skill that they can wear regardless of what armor they may be using in battle at any current moment. This Challenge system has two important consequences. First, it confirms the importance of visual prestige in the game as represented through the armor an avatar wears. Second, and perhaps more importantly, it allows a wider group of the playerbase to participate in the upper levels of this system of visual prestige. Before transmogrification and Challenges, only players who were successful in raiding were able to participate in the visual culture of prestige. Everyone else was subject to wearing common-looking items or those which obviously carried no import of the player’s worth. 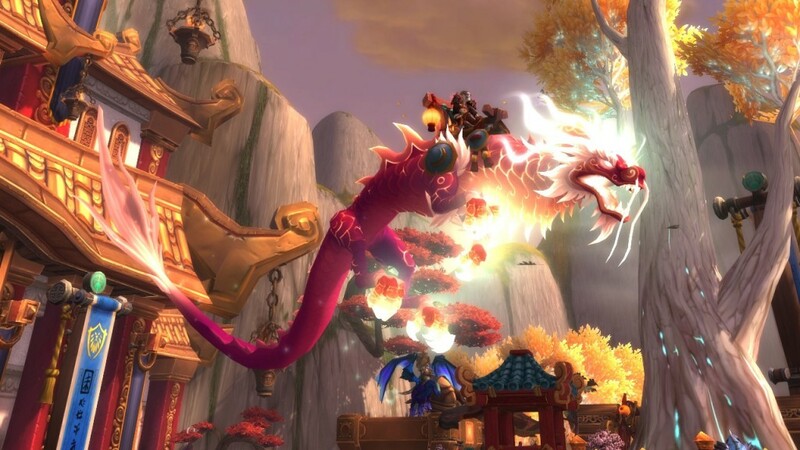 Further, without raiding, these players could not obtain the mounts and titles that also communicate prestige, and thus, these players were somewhat invisible in terms of worth through the eyes of the community. However, with Challenges, even players who are unable to raid but are skilled are able to visually communicate that skill to the rest of the community and participate in visual prestige culture. No longer is visual prestige merely a feature of raiding culture. While mounts and titles received for the most difficult raid encounters still exist and serve to elevate those players as dedicated and skillful raiders, Challenges allow non-raiders to also communicate skill and thus worth to the community through their avatar’s appearance. As should be apparent from this discussion today, MMO culture is somewhat stratified between raiders and non-raiders. Next time, I will talk about this divide and various features of the culture and game that serve to both perpetuate and sometimes simultaneously undermine it. *There is a minimum gear level that stats are equalized to. This means that players who do not raid still need to participate in the game to achieve a base level of armor in order to compete equally in the Challenge. I think the key points here are: unique and solely appropriate for Achilles. In the pre-modern age, items were commissioned with a patron/client relationship, and these one-offs are what we have in collections now. This is the problem with digital and mass-market items: they are not bespoke per se, and there is no limit on how many can exist. This makes prestige via these pre-designed items problematic. Whilst they act as a symbol of time spent, I think they do not signify an individual per se, but instead use the semiotics of uniform to bind the player to a community rather than individuate that player. (contrast with the event and person specific nature of Henry VII’s armour, for example: http://www.royalcollection.org.uk/collection/72834/armour-of-henry-viii-for-the-field-and-tilt). There is certainly less “unique and solely appropriate” happening in the gamespace, but I really think that is only due to the amount of resources such a thing would require. The desire for legendary items and unique titles, for example, displays the desire on the side of the players for such a thing. 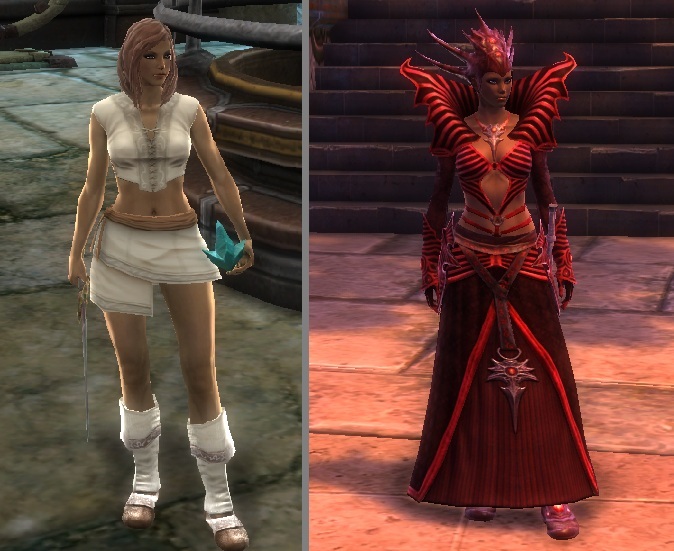 The addition of wardrobe and transmogrification in this game is a way to compromise there. It allows for unique appearance, while still keeping some of the best costume pieces tied to skill. I’d also say that you are absolutely right that they bind the player to a community, but we also need to be reminded that the only reason Achilles’ armor had any significance and was in fact unique was because of the value afforded him by the community. While it sets him on a kind of pedestal as uniquely skilled, that is only possible through the community. The entire argument spawning the Iliad is about a unique prize representing the value given by the community. Unique means nothing without others for comparison and value. Ruth Scodel wrote a volume on elements of prestige in the Iliad, particularly through a focus on “face” ( as in “saving face” ). It’s worth a glance if you haven’t read it – Epic Facework. There has been at least one case of server-wide uniqueness(Everquest artifacts, http://www.eqclassic.org/forums/viewtopic.php?f=16&t=649), there must be more cases that I’m not aware of. I think the change in WoW items and visual prestiging is a facet of community change too, similar to the change from an autocratically-controlled to a bourgeoise society at the end of the 20th century. Now everyone can dress like a king in some way, regardless of skill. Nice article by the way, I think historical parallels in visual culture display might be a rich seam. There is an example in WoW of server-wide uniqueness in the “Scarab Lord” title that was earned by the player who opened the Ahn’Qiraj gates way back in vanilla. I can’t think of another in that game though, and that title wasn’t really related to skill either, at least not in the sense of class ability and encounter execution. It’s really interesting to see how the community and the developers try to negotiate the divide between the players who really want to distinguish themselves and those who just want a chance to eventually earn the same thing (thereby devaluing it). Throughout WoW, there has been a gradual shift toward more universality, usually to the extreme distress of the players who will have their prestige devalued in the process. I think of the removal of the gating quests to Hyjal in BC and of the coming change to arena ratings in the interest of more Gladiator titles. But there are still places in the game that only the very dedicated can complete, at least for awhile (e.g., heroic raid end bosses pre-nerf).